Crime Stoppers and the Montgomery County Fire Marshal's Office are asking for the public's help identifying the person (s) responsible for and apartment building fire in The Woodlands last week. Last Thursday (3/21/19) night, residents in building 6 at the Holly Creek Apartments were sent scrambling for their lives when a fire broke out on the first floor of their 8 unit complex located on Holly Creek Court in The Woodlands. Residents reported hearing the sound of glass breaking just before they discovered the fire and called 911. The building, constructed over 30 years ago, was not equipped with fire sprinklers or a fire alarm system and the fire quickly spread to adjacent occupied units. Montgomery County Sheriff's Deputies were already in the complex on an unrelated call for service when the fire broke out and quickly began alerting residents to the growing fire. MCSO Deputies alerted arriving firefighters from Engine 101 that one victim was still believed to be trapped above the fire. Three Woodlands Firefighters forced entry into a second floor apartment and rescued a 15 year old female from her bedroom in zero visibility conditions. She was pulled from the building and treated for smoke inhalation by MCHD EMS, then transported to the hospital in stable condition. Additional Fire crews were on scene within minutes and were able to contain the fire before it could spread to any other buildings in the complex. 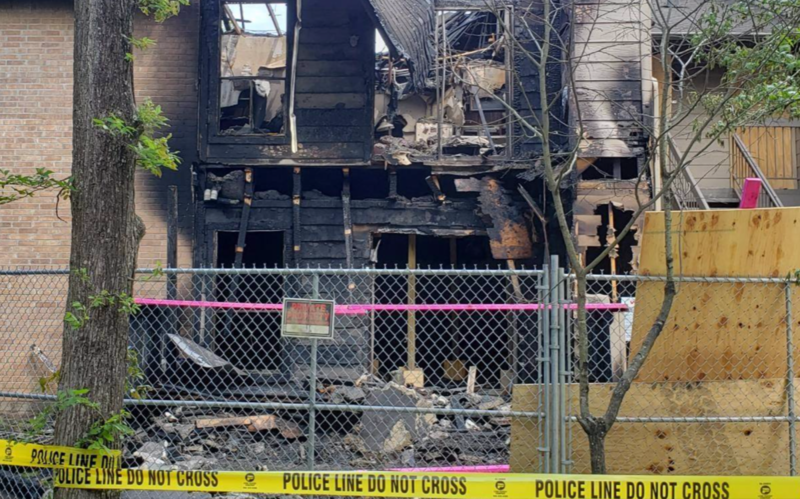 Fire Investigators with the Montgomery County Fire Marshal's Office began an investigation at the time of the fire that lasted throughout the night and into the next day. They were joined on scene by certified fire investigators from the BATF. Working together, they determined that the fire was deliberately set in a first floor apartment and a criminal investigation is now underway. Arson of a habitation is a 1st Degree Felony, punishable by fines and a sentence of 5-99 years or life in prison. The Montgomery County Fire Marshal's Office is seeking the public's assistance in identifying the person or person's responsible for committing this crime. If you have any information, you may contact the MCFMO directly at (936) 538-8288 or you can call Crime Stoppers at 1-800-392-STOP (7867). They should be charged with attempted murder. I hope they catch the idiots quickly.